Unfortunately, he keeps asking what all of the creatures are called and I have no idea. Not all of them are featured in the ABC book. 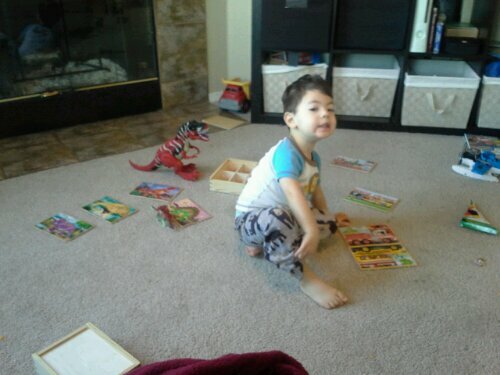 Dave had to work today, so Sam and I spent the morning doing fun things without him. First, we painted pottery. 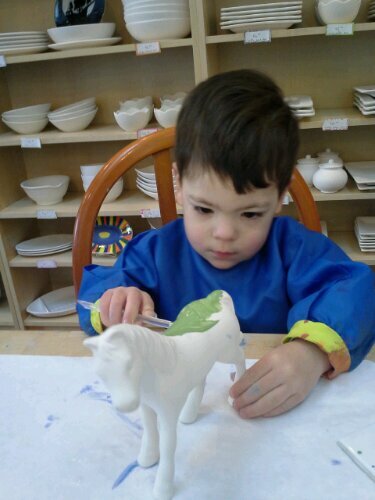 Sam painted a spoon rest for me (that was my Christmas present from him) and them painted a horse for himself. 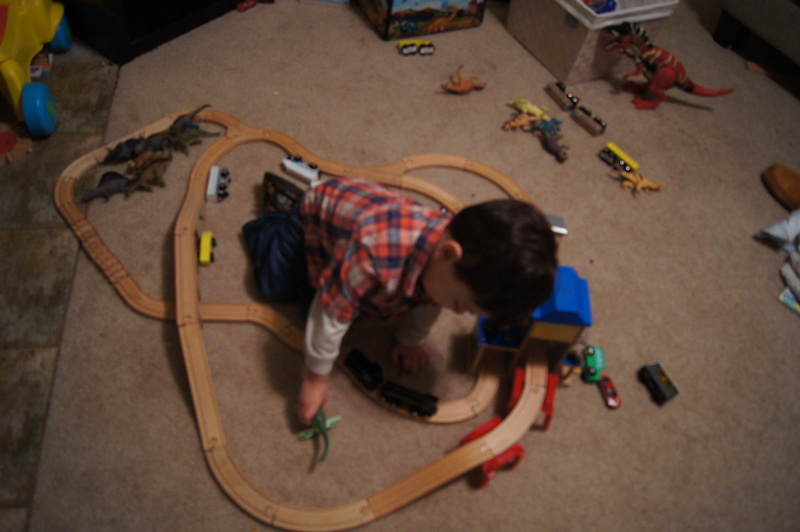 Afterwards, we went to a toy shop to pick out his Christmas present from great grandma. He picked out a new car. Now for lunch and a much-needed nap.